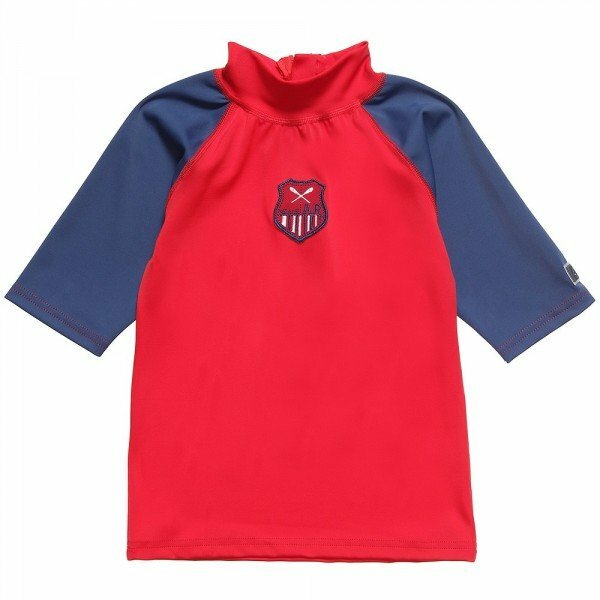 Here's a smart looking nautical inspired Archimede boys red and navy blue UV sun protection 50+ top. Perfect for Summer days at the beach. Seen here with a pair of red, white and blue swim shorts.